DALLAS, TX (May 29, 2018) — Orion Fans has expanded its DC product offering to provide enhanced cooling solutions for automotive applications. 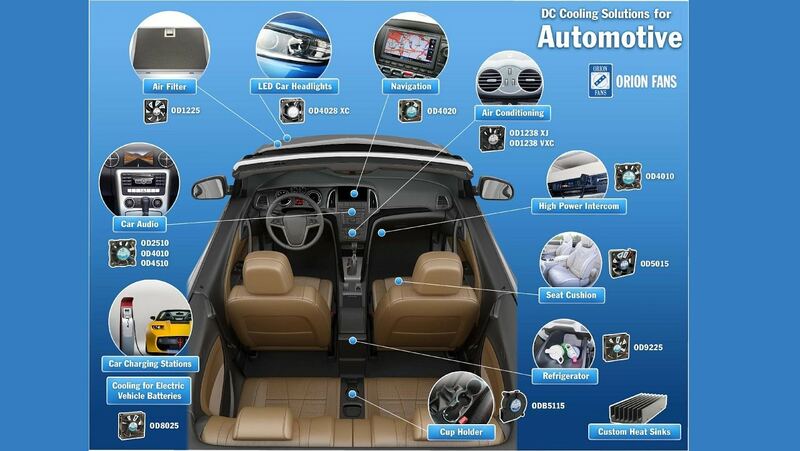 Orion Fans’ extensive DC fan and blower product line delivers efficient cooling solutions for automotive applications including air conditioning, air filtering, diagnostic equipment, infotainment system, LED headlights/brake light, navigation system, seat cushion, and specialty cooling applications. Designed for highly restrictive environments, Orion’s family of DC fans deliver superior airflows up to 1200 CFM. 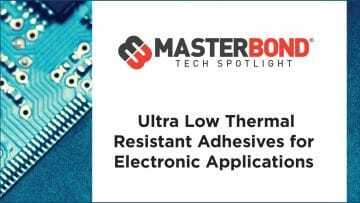 The high performance fan series feature specially designed blades that focus air movement to push/pull air through obstacles to cool electronic systems and other high static pressure applications. Orion’s DC Blowers provide a low power, energy-efficient solution. Available from 50mm to 182mm with airflows up to 136 CFM, these blowers are ideal for air filtration and ventilation systems. Many fans and blowers from Orion are available with ratings up to IP68 to meet automotive requirements. Salt fog-rated fans and blowers are also available. Orion Fans, a division of Knight Electronics, Inc. is an ISO9001/2008 global manufacturer of standard and custom AC and DC fans, fan accessories, fan trays, and blowers. Established in 1995, Orion Fans supplies quality engineered and competitively priced cooling products and assemblies to OEMs worldwide. The company has engineering and manufacturing facilities in the United States, Europe, and Asia.